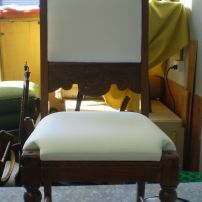 commented on "Antique Rocking Chair Restoration - Reupholstery by JARO Upholstery, Melbourne"
commented on "Restored Old Antique Chair, reupholstery by JARO Upholstery servicing Melbourne and Gippsland areas." 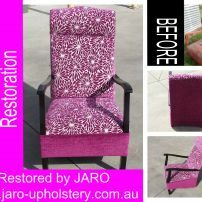 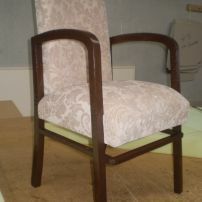 Restored Old Antique Chair, reupholstery by JARO Upholstery servicing Melbourne and Gippsland areas. 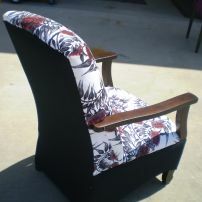 commented on "JARO - Melbourne Antique Restoration Specialists"
We love to restore & reupholster old furniture with traditional or modern fabrics. 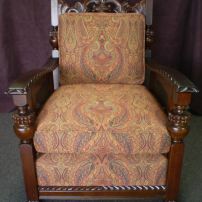 commented on "Garfield's Danish Antique Chair Repolished & Reupholstered by JARO Upholstery"
commented on "Melbourne Reupholstery by JARO - Folk Art chair preparation"
Old chair polished and reupholstered ready to have folk art painted on it. 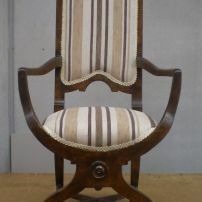 commented on "Elizabethan Chair Reupholstery"